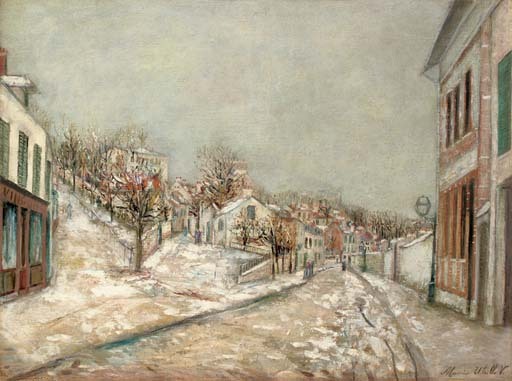 Dikran Khan Kélékian, Paris and New York; sale, American Art Association, 30 January 1922, lot 72 (as 'Effet de Neige'). Acquired by the parents of the present owner in Paris in the 1930s, and thence by descent. San Francisco, Palace of the Legion of Honor, The Arthur Sachs Collection, 1950 - 1951.